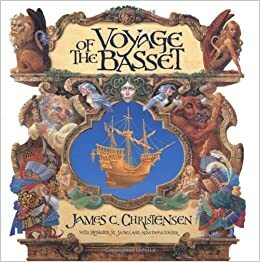 There is this book that my parents used to read to my sister and I before bedtime called "Voyage of the Basset"; it is a beautifully published book about a widowed Victorian era professor whom embarks on a mythical and magical journey with his two young daughters. Now, where my parents found this book I do not remember but reading of it is something that to this day stands out as one of my greatest memories. I can sit here today and still see my sister and I in our pajamas sitting on her bed covered in a mickey mouse comforter enthralled by not only the pictures of the book but the words it produced. While this book did host a magical story line and beautifully crafted pictures that any child, and adult, would appreciate it also offered something more, something that has stuck with me since the time of reading this book with my parents and that is belief. This ideal that by believing in your dreams you will actually see them come true is a strong, and something that has continued to fuel my purpose each and every day. 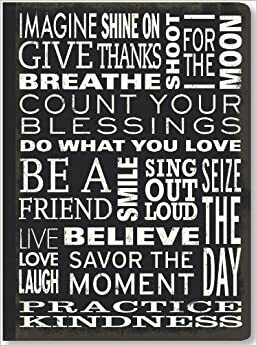 It is all and well to come across the message in a book and even to have it resonate with you a little bit but it is a much bigger feat to practice it. I wish I could say what makes it your belief take form in everyone; for the Victorian professor in the book it was his children that helped him to rekindle his belief for me it was a mix of the love and support I receive from my family and fiance. By believing in myself, others, the life that I live, and the path that may or may not be given to me I have found that I have become so much stronger and guess what? those goals that I figured I would never be able to reach... I smashed them. The second part to believing comes from your dreams; DARE TO DREAM. There are times that your dreams are glaringly obvious and the path towards them easily found; yet there are still those times that the path is much more twisted and unyielding. Until you allow yourself to have dreams you will never know your exact desires as it is these dreams you use to turn into those goals that you reach for. Goals can be a catalyst for energy, sense of purpose, and strengthening your belief. Yo ur goals help to keep you on the trail without falling prey to the many twists, turns, and detours that can arise. By embracing your dreams and goals you are on the first step to believing and then achieving (or seeing). The journey is the reward so don't be afraid to make the first step towards believing because I can assure the reward is worth it.